The house was commissioned by Dorothy Mullens (nee Todman) around the time of her marriage to Arnold Mullens. Council meeting minutes record approval of the building application by Mrs Mullens in August 1916. Dorothy Mullens was the daughter of tobacco merchant George Todman and sister-in-law of the architect Slatyer. 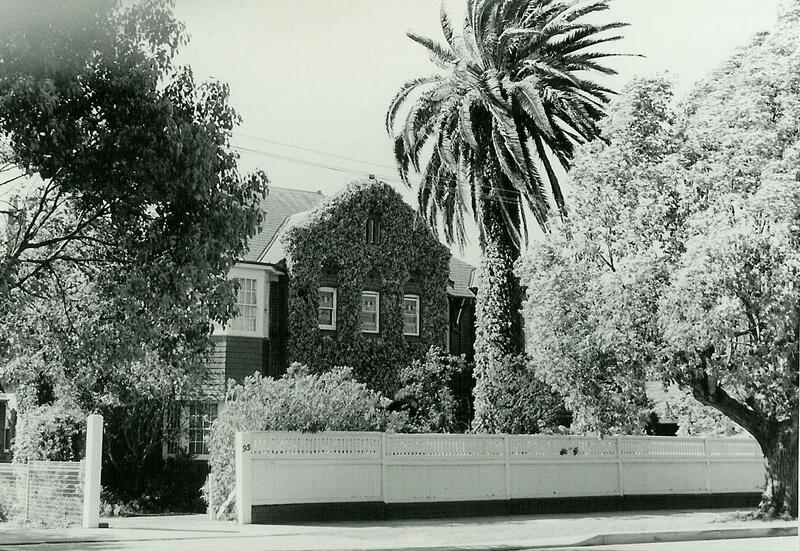 ‘Virginia’ 79 Redmyre Road Strathfield was designed by Slatyer in 1906 and shares some similarities in design. Arnold Mullens was a stockbroker and descendent of Josiah Mullens, foundation member of the Sydney Stock Exchange. The Todman and Mullens families were influential in the Congregational Church. Todman and Mullens were married in 1915 but divorced in 1926. Following the divorce, Mrs Mullens retained the house. She married Dr Francis Windeyer Traill (1888-1961) in 1941. In 1947, ‘Inglethorpe’ was sold by Mrs Dorothy Traill to Teresa Maria Scahill for £5850. The land measured 140 feet frontage and 226 feet depth. In 1954, a subdivision plan was approved which divided the grounds of ‘Inglethorpe’ into four lots. Lot A (containing the house ‘Inglethorpe’) and Lot B faced Redmyre Road, while Lots C and D involved the rear grounds and faced Oxford Road. The frontage of ‘Inglethorpe’ reduced to 86 feet. In February 1954, Mrs Scahill sold Lots A and D to George, William and Lily Burtinshaw, as tenants in common for £10,500. In November 1958, ‘Inglethorpe’ was sold to Dr Brian Carroll, a Strathfield based physician.